Amidst verdant and astonishingly scenic hills of the Aravali mountain range in Udaipur is Shikarbadi. Once the chosen big game hunting area of the royalty of Mewar, Shikarbadi today is home to the Devraj Villa, a unique boutique home stay guesthouse. This property has been painstakingly crafted out by Mr. Shurveer Bhati and is the result of his rich experience, spanning almost two decades, in the hospitality industry. His in-depth understanding of the trade and love for travel brought about the idea for creation of a guesthouse which offers to the discerning travelers luxurious comfort in great open spaces with the most beautiful views of the hills around.Devraj Villa is designed and created with minimal disturbance to the surrounding ecology and at the same time absorbs the natural splendor of the surroundings with spacious gardens, airy feel all around and a chance to be in the lap of nature at the edge of a bustling city. One can get lost in the mesmerizing sounds of various birds tweeting around and often spot Deer, Porcupines, Foxes etc. in very close vicinity of the guesthouse.The architecture of Devraj Villa is a blend of the traditional and the contemporary. Creative designs in flooring laid in marble and sandstone, intricate wrought iron designs for staircase railings and richly painted ceilings are but some of the aspects that make staying at Devraj Villa a mesmerizing and pleasurable experience. Rich feel environs coupled with personal care for each guest and delicious organic food on offer position the Devraj Villa as a truly unique and remarkable place to stay.Budget Hotel in UdaipurThe Villa has six theme based suites which are all unique, luxurious and beautiful. Each suite is equipped with all modern amenities and en-suite bathrooms. 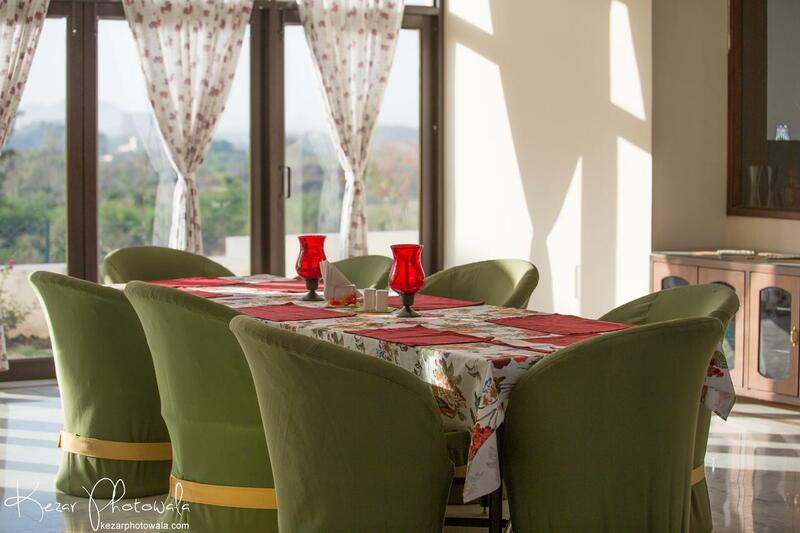 Every suite has its own balcony overlooking the lush Aravali mountains.Devraj Villa offers home cooked meals with some of the recipies coming straight out of the royal kitchens of the Maharajas of Mewar. Local travel arrangements can be made at the request of guests. Should guests so desire, the hosts can provide best suggestions on all the local attractions, places to visit, markets to shop at and any other information that makes for reliable and handy local insight & acumen. Interaction with local craftsmen for those who wish to learn more or study the local arts can be arranged on request. Airport Transportation, Room Service, Backup Generator, Safe Deposit Box-Front Desk, Laundry Facilities, Internet/Wi-Fi, Doctor on Call, Baggage Storage on Request, Breakfast Services, Parking. Iron/Ironing Board, Complimentary Toiletries, Basic Bathroom Amenities, Daily Room Cleaning, Television Room, Cable/Satellite TV, Child Care, Desk, Internet Access, Bottled Water in Room. User reviews for "Devraj Villa Udaipur"